Fireman Sam: Will the Real David Angell Please Stand Up? 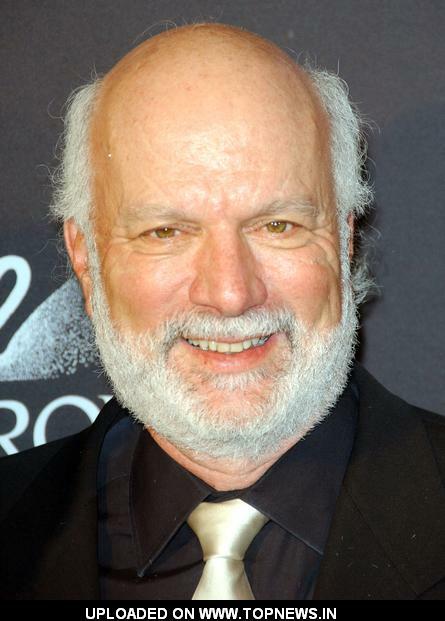 Is David Angell the 'nom de plume' of James Burrows? I discovered the below two images on the http:\\web.archive.org website yesterday. Both appear in archived pages of the Writer's Guild of America website and both are from the January 1997 edition of the WGA's Written By magazine. The first is a scan of the magazine's front cover and the second a photo of the Frasier crew. A person purporting to be, and identified as, David Angell appears in both images. His name appears along with his Grub Street partners, David Lee and Peter Casey, on the cover of the magazine. He is also identified as David Angell in the text of the article in which the second image appears. However, the David Angell in these new images is categorically NOT the David Angell presented to us in any of the images seen to date. 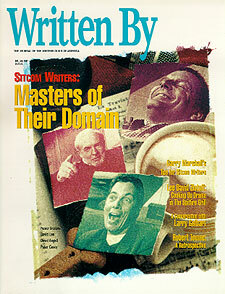 This first image is the front cover of the aforementioned WGA magazine. The image wasn't added to the WGA's website but still exists in the site's underlying directory structure. I discovered it by browsing the HTML source to discover the page's images folder. The web archive doesn't allow browsing of this folder but by incrementing the file number sequence (angells1.jpg, angells2.jpg, etc.) I eventually came across it. I am reasonably sure that the person identified as David Angell on the magazine's front cover is in fact James Burrows, co-creator of Cheers and director of a large number of Frasier episodes. The most interesting question here is this: why would the Writer's Guild of America, of all organisations, confuse Burrows with Angell and picture Burrows (a director) alongside Peter Casey and David Lee in an article about sitcom writers? Was David Angell the nom de plume of James Burrows, a means for him to separate his life as a director from his screen-writing and production ambitions? If so, why was the nom de plume subsequently gifted with a life history and killed off? Was Angell always an entirely fictional character and a role occasionally 'played' by the very similar looking James Burrows (prior to 9/11 of course) whenever the need arose? If so, and remembering that Angell has writing credits dating back to 1983, then why was the character created in the first place? Who could, or would, go to such lengths in order to 'backstop' a character? Here's a few additional pictures of James Burrows for comparison purposes. The first shows him on the set of Will and Grace. And here's a much more recent (2009) picture of him. Could Burrows be Angell? It's a Chinese Box this one, and as things stand there are still more questions than answers.